BluBilling supports two of the PayPal products, Website Payments Pro and Payflow Pro. The other products offered by Paypal are not suited for recurring billing services. The PayPal WebSite Payment Pro offering combines a merchant account as well as a payment gateway. Only the basic account is needed; add on features (including the highly limited "Recurring Payments" feature) are not needed. * As part of its underwriting process PayPal may require your business account to provide the Card Verification Value (CVV, also known as CSC or CCV) which is the 3 digit security number on the back of a credit card. PCI regulations mandate that the CVV can never be stored, hence you must contact Paypal customer service to have this restriction removed if you wish to use BluSynergy's BluBilling recurring billing service. 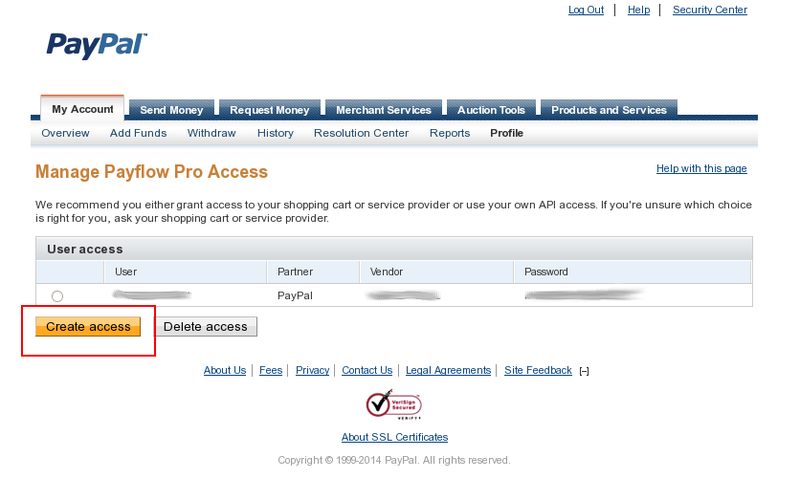 Note: It can take about an hour for this account to be activated by PayPal. 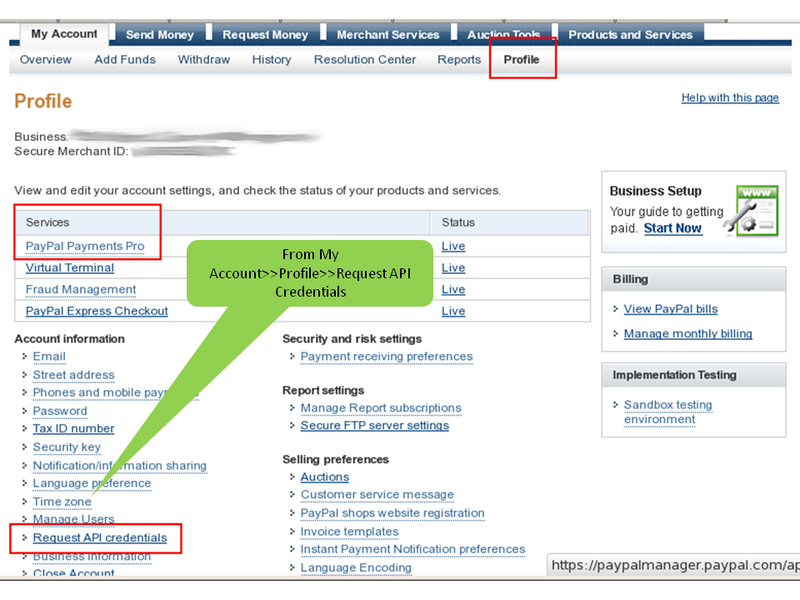 The PayPal Payflow Pro account allows you to use PayPal as the interface to your third party processor. Note that you will need an account with both PayPal as well as the 3rd party processor for this configuration. Payflow supports all these major processors. 1. Login to your Paypal account. Click on My Account and Profile. Pay attention at the Services you have signed up for. Click on the Request API Credentials link under Account Information. 2. 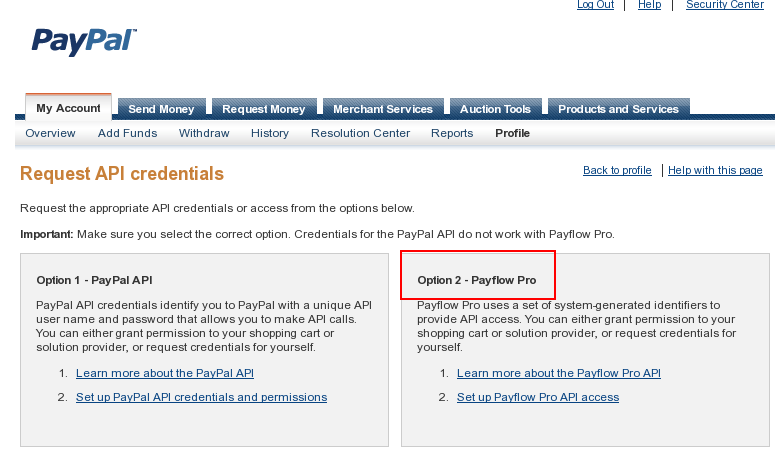 From the Request API Credentials page, select Option 2 - Payflow Pro. 3. 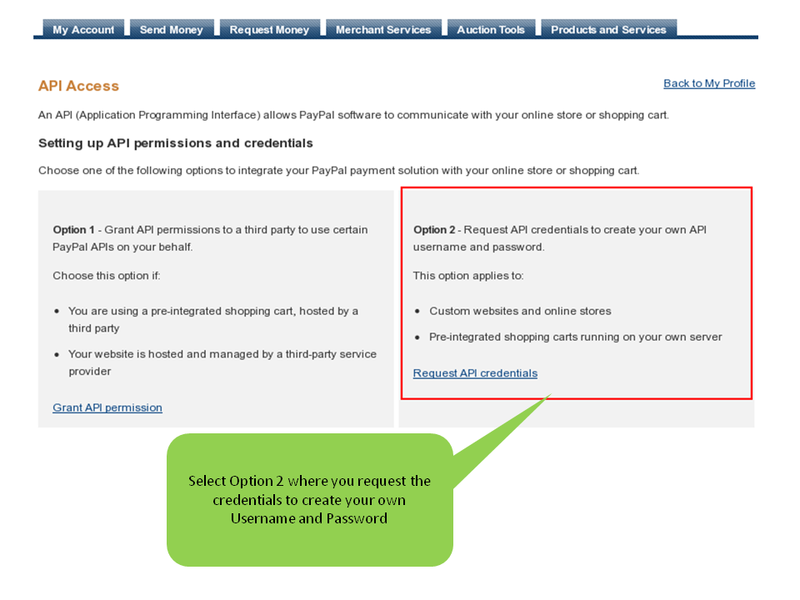 Next, from the API Access screen, select Option 2 that allows you to create your own Username and Password. 4. From the next screen, click on the Create Access button. Paypal then generates a User Access and allows you to create a Username and Password. This is then entered in the BluSynergy Payment Processor Configuration screen. For configuring BluBilling to use PayPal Website Payment Pro, use the following values in the Processor Configuration screen (under the System menu).